As long as it doesn’t break the internet, the leap second to be added tonight might not seem like a big deal. However, the existence of a leap second indicates something very fundamental about our philosophy of measurement itself. To wit: what happens when your measuring tools outperform the thing the are meant to measure? Back in the early days of trains, you could “set your watch” by the arrival of a locomotive. Now, with your atomic clock linked smartphone, you would more likely conclude that the train was late. The latest generation of atomic clocks won’t gain or lose a second for hundreds of millions of years. So we can observe directly the fact that the Earth’s rotation is slowing, which will, over time, cause the day/night cycle to fall out of sync with our clocks. Why does this bother us? We could skip intercalation entirely and let time slip, just like the lunar calendar compared to the solar. For example, it happens to be Ramadan right now, which is tough for adherents in the Northern Hemisphere who are experiencing long periods of daylight. Since 12 lunar cycles equals 354 days, it cycles around the seasons. Other calendars, called lunisolar, add intercalated “leap months” to keep the lunar-based holidays more or less in sync with the solar year. The fact that we contrive for our wristwatches to keep time that corresponds with the sunrise shows that time – and all measurements – are constructs for our convenience. Lastly, if you are unsure what to do with your extra second, John Oliver is here to help. -in which he played an large role. Thaler coins terms like “Invisible Handwave,” for the belief – without supporting data – that markets solve all problems, and “SIF,” which stands for supposedly irrelevant factors. 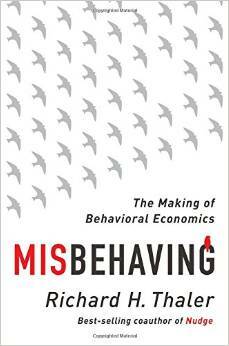 In a Freakonomics podcast, Thaler helps show why acting like an Homo Economicus is probably best way to go through life, anyway. This is for a couple reasons. 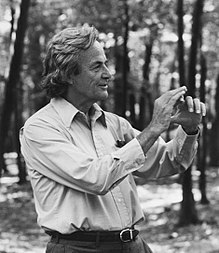 First, it is impossible for an actual human endowed with “bounded rationality” to constantly update a metaphorical (or actual) spreadsheet of all possible actions to find the optimal course of action. Second, many social conventions (like not auctioning subway seats) explicitly or implicitly hinder individuals from acting like compete sociopaths. We have just seen the Michael LaCour affair blow up in the National Media. His study, which appeared to find “that opponents of gay marriage could be convinced to support it after a single conversation with someone who identifies as gay,” was retracted by Science after statistical irregularities were found and the original data could not be produced. Among the reasons this retraction is receiving so much attention is that the original findings were broadcast so widely in the first place. For proponents of gay marriage, such news seemed too good to be true – that their opponents could be won over so easily. This goes against previous findings on political opinions, and probably should have been taken a little more skeptically. Part of why LaCour’s results were so noteworthy was that they flew in the face of just about every established tenet of political persuasion. While past research had shown canvassing can be effective at influencing people in certain ways, the sheer magnitude of effect LaCour had found in his study simply doesn’t happen — piles of previous research had shown that, all else being equal, human beings cling dearly to their political beliefs, and even when you can nudge them an inch to the left or right, people’s views are likely to snap back into place shortly after they hear whatever message you’ve so carefully and cleverly crafted. Not so in this case: When LaCour compared the before-and-after views on gay marriage in his study, he found that opinions had shifted about the distance between the average Georgian and the average Massachusettsian, and this effect appeared to have persisted for months. Also in the news, a scientist purposely designed an experiment with some of the common flaws of many dietary experiments. By using too few subjects and testing for too many outcomes, it became very likely that something would pass a correlation significance test. In this case, what emerged from the noise is the conclusion that eating chocolate helps you lose weight. Many media outlets jumped on this sweet headline, without asking too many pesky questions. There is a very pernicious mechanism by which confirmation bias can operate called “Satisficing.” When we find a conclusion that agrees with what we already believe (or wish were true), we can easily say that the analysis is “good enough” and stop thinking, thus saving valuable brain power for other functions. Conversely, if we get the “wrong answer,” our intellect goes into overdrive to find the flaw. Think of all the convolution leaps of logic required in some legal rulings just to reach a specific conclusion. First, TIME reported on the use of herpes as a way of treating melanoma. 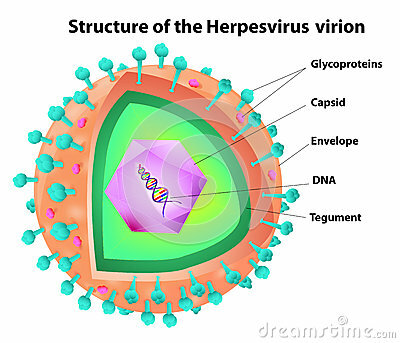 However, the original headline mentioned “herpes cells.” Another study about containing HIV by interfering with a specific pathway spoke of “starving HIV to death.” Viruses are not cells, nor do they need food to live (but they do need certain nutrients to build new viruses).